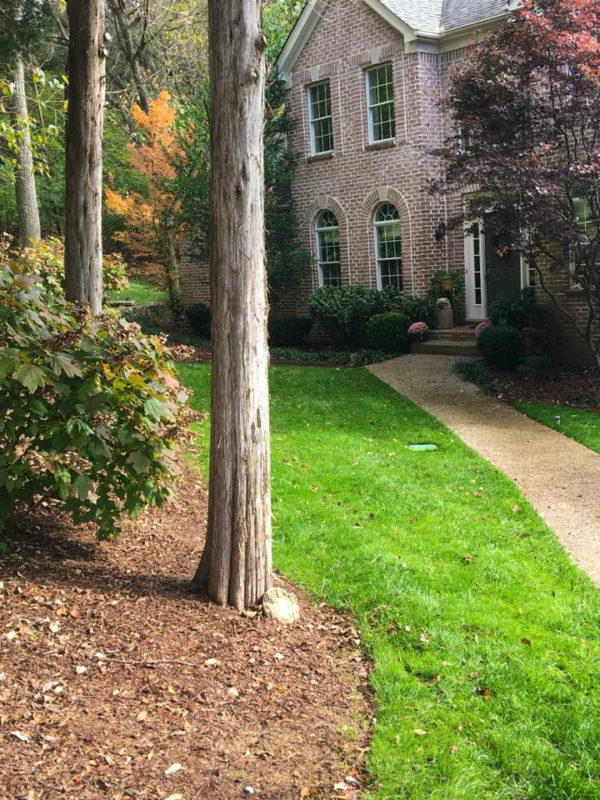 Middle Tennessee Grounds is a professional tree service that provides tree trimming, removal, and planting services. We remove dangerous limbs, top standing timber, fell trees, extract debris, and remove stumps quickly and professionally. We continually strive to exceed the expectation of the customer. Professionalism, sincerity and affordability are Middle Tennessee Grounds’ trademarks. We like to ensure that all of our customer’s concerns and tree needs are addressed, and then strive to leave our customers completely satisfied. We look forward to conducting business with you in the future. All team members from Middle Tennessee Grounds are trained to accomplish more than just keeping your property appealing; Middle Tennessee Grounds can actually help keep you and those around you safe. By identifying unstable trees and infested shrubs and bushes, we can work to prevent or mitigate safety issues relating to your property. Contact us today for a FREE quote on your tree services.